Ms. Morley has brought what the New York Times called the “silken clarity of her voice and the needlepoint precision” of her coloratura to the Metropolitan Opera, the Vienna Staatsoper, Munich’s Bayerische Staatsoper, the Opéra National de Paris, the Palau de les Arts in Valencia, Spain, and the Santa Fe Opera. Renowned for her musicality and deft phrasing, she has also appeared as a soloist with America’s premier symphony orchestras, including the Cleveland Orchestra, Chicago Symphony Orchestra, Philadelphia Orchestra, and the New York Philharmonic. Ms. Morley’s 2016-2017 season features a return to the Metropolitan Opera to sing Sophie in a new production of Der Rosenkavalier and performances of Zerbinetta in Ariadne auf Naxos with the Glyndebourne Festival Opera. In concert, she will sing Sophie with the Boston Symphony Orchestra and reprise Angelica in Handel’s Orlando with Harry Bicket’s renowned orchestra, The English Concert, on tour in Ferrara, Italy. Ms. Morley will also be heard in recital at Alice Tully Hall and at Brigham Young University. Future projects include returns to the Metropolitan Opera, Glyndebourne Festival Opera, Wiener Staatsoper, Santa Fe Opera, and Carnegie Hall, all in leading roles. The 2015-16 season took Ms. Morley back to Munich (Fiakermilli in Arabella) and Paris (Sophie in Der Rosenkavalier), and included debuts at the Minnesota Opera (Zerbinetta in Ariadne auf Naxos), the Opéra de Nancy (the title-role in Lucia di Lammermoor) and The English Concert in a European and North-American tour singing Angelica in Orlando with a final performance at Carnegie Hall. A graduate of the Metropolitan Opera’s Lindemann Young Artist Development Program, Ms. Morley has sung more than 70 performances at the Metropolitan Opera. She was hailed by critics as “a major success” when she stepped in last-minute to sing Sophie in an entire run of Der Rosenkavalier in the 2013-14 season. (She will return to the Met as Sophie in a new production alongside Elīna Garanča and Renee Fleming, with James Levine at the podium.) Met audiences also heard Ms. Morley’s role debuts as Olympia (in Les Contes d’Hoffmann) in the 2014-15 season, and Sister Constance (in Dialogues des Carmélites) in 2013-14, among others. Equally at home in chamber music, Ms. Morley has appeared with Louis Langrée and the Mostly Mozart Festival Orchestra, with the Chamber Music Society of Lincoln Center, in a recital tour with pianist Vlad Iftinca (Salt Lake City’s Virtuoso Series and Carnegie’s Weill Hall), and with pianist Ken Noda (in Webern’s Four Songs) and James Levine and the Met Chamber Ensemble in Carnegie’s Zankel Hall (in Satie’s Socrate). In commercial recording, Ms. Morley can be seen as Sandrina (in La Finta Giardiniera) with conductor Emmanuelle Haïm in the Opéra de Lille production for Erato; as Woglinde (in Götterdämmerung) with conductor Fabio Luisi in the Metropolitan Opera’s Grammy Award-winning Lepage Ring Cycle for Deutsche Grammophon; and can be heard as Marguerite de Valois (in Les Huguenots, live from Bard SummerScape), for the ASO label; in Carl Nielsen’s Symphony No. 3 “Espansiva” with Alan Gilbert and the New York Philharmonic for Da Capo Records; and as Sylvie in Gounod’s opéra-comique La Colombe with Mark Elder and The Hallé Orchestra for the Opera Rara label. The daughter of a violinist, Ms. Morley spent her early years studying violin and piano, and frequently collaborated with her mother. While obtaining her undergraduate voice degree from Eastman, she continued her piano studies, and accompanied singers in lessons and recitals. She went on to earn her Master of Music voice degree from The Juilliard School and her Artist Diploma from the Juilliard Opera Center in 2007, where she received the Florence & Paul DeRosa Prize. 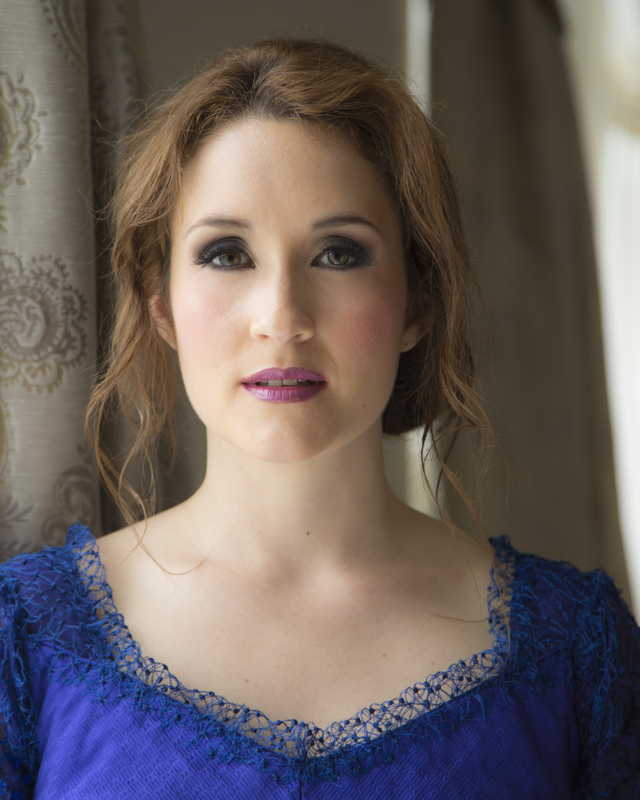 Ms. Morley won 1st Place in the Licia Albanese – Puccini Foundation Competition in 2006, 3rd Place in London’s Wigmore Hall International Song Competition in 2009, and received the Richard Tucker Career Grant in 2013.